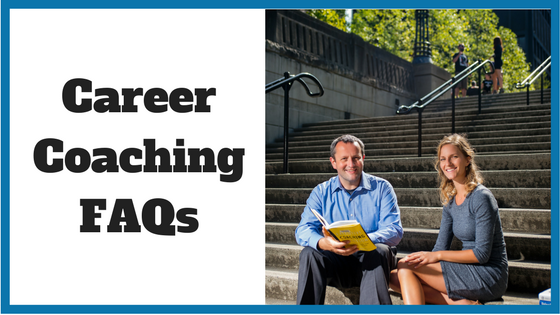 If you want to know more about career coaching, we’ve tried to answer all of your questions below. What are the benefits to having a career coach? Support – A coach is there for you. They actively listen to what you are saying and what you aren’t saying. They will create a safe environment where you are comfortable and can talk without judgment. Looking for work can be extremely isolating. Working with a coach provides the necessary support to move forward. A coach provides non-judgmental guidance and can see things from the 30,000-foot view, offering different perspectives and opportunities. They’ll help you identify where you are stuck, what the obstacles are between you and your dream job, and illuminate the path to what you really want. Structure and accountability – A coach will set up regular coaching meetings with you (by phone or in person) and assist in developing a plan to achieve your career goals. Looking for work can be frustrating, annoying and demoralizing and it may be difficult to know where to start. Having regular coaching sessions will lend structure and stability to your career transition. A career coach will customize a program to suit your individual needs and meet you where you are, whether at a career crossroad or in job search mode. They will provide the necessary accountability for you to achieve and exceed your goals, far faster than you would on your own. Focus – A career coach will help you focus on what you really want to do and where you want to do it by identifying your values, interests, talents and passion. They will help you discover what is really important to you and how that relates to finding your ideal career. Confidence and your personal brand – When you are out of work you may lack self-confidence and your perspective on successfully finding work may become clouded. Career coaching can provide you with fresh perspectives on the challenges and opportunities when finding meaningful work, give you better awareness of your strengths, accomplishments, unique value proposition and your own personal brand. Investing in your career plan is not for everybody. It’s a considerable investment of time and money. Many coaches will ask for a 3 to 6 month commitment to ensure your success so you’re looking at spending, on average, somewhere between $1000 and $2500. We – the coach matching experts here at Noomii – have helped thousands of people find a career coach and it’s no surprise we get so many requests when you consider how much time people spend at a job they hate – or even worse, don’t have (i.e. they’re unemployed). So the job (pun intended) of a career coach is to help you find a job – but not just any job – a job you love. A career coach does this by offering a range of services. On one end of the spectrum is the personal development side of career coaching that helps you answer the big questions in life such “what are you passionate about?”, “What do you really want to do?” and “What career legacy do you want to leave behind?”. On the other end of the career coaching spectrum are the technical job searching services such as resume writing, preparing for interviews, and developing job searching skills. While similar in many ways, career coaching focuses more on your personal strengths, talents, and values, and helps you build your ideal career path based on these fundamental factors. A career coach works with you to find your true calling in the workplace – the career that will give you true meaning and purpose. Career coaching is based on the premise that if you are going to spend 8 hours a day or more in your job, it might as well be something that you love. A career coach will take the time to really listen to you. A career coach uses a variety of tools, exercises, and activities to help you identify your career goals and, critically, take action toward achieving them. After only a few sessions, you will have a much clearer sense of what type of career will give you the most joy and satisfaction, at which point you’ll be in the position to start developing an action plan to get there.